True greats, it’s said, have a knack for making the difficult things appear easy. And our triumphant Lean RCM Team at Viridor offer a case in point. The team demystified complex maintenance methodology and made it relevant to everyday factory employees at their Longley Lane plant, which manufactures biogas and biofuels. The team’s formation followed turbulent times. The plan was being hamstrung by a reactive maintenance culture in its first twelve months of operating. Plant availability stood at 79%, six percent below the level needed to produce minimum contracted material. Inexperienced operators bombarded their overburdened maintenance department with 250 work orders a week. Equipment failures were random, but regular. The machine’s OEM was apportioned with the blame from employees, who became apathetic about any further improvements. One member of the maintenance team, Damon Brierley, had seen enough. After attending a Reliability Centred Maintenance training course, he became convinced his department could make a difference. 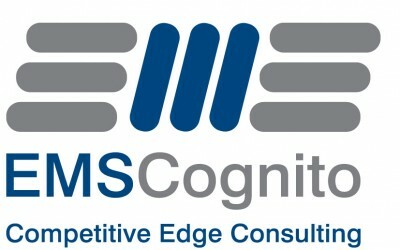 Brierley and five key colleagues began to collaborate on an in-house lean RCM system, with additional support from lean consultancy, EMS Cognito. The project was immediately inclusive with production teams invited into the inaugural sessions. Lean RCM promoted shared responsibility for assets between the engineering and operations department. Creating a more maintenance-aware operator would enable technical engineers to focus on added value activity through root cause analysis and CI projects, the team reasoned. The philosophy was supported by extensive visual management and team-based problem solving workshop, to foster collaborative thinking. Workplace organisation underpinned the efforts with a 6S system. Each plant area was allocated an ‘owner’ responsible for defining and maintaining best practice. And weekly review meetings established the top five reasons for lost production time and a plan to root cause the snags. Longley Lane’s downtime chart was quickly emulating the course of a big dipper ride. Planned maintenance hours went from six hours to twenty minutes, with a full shutdown, to 19 minutes with the plan fully operational. Plant availability stood well above 90% by August this year. It’s all been achieved with just one colour printer, a laminator, two PCs, flipchart – and, crucially, a hugely passionate plant team. 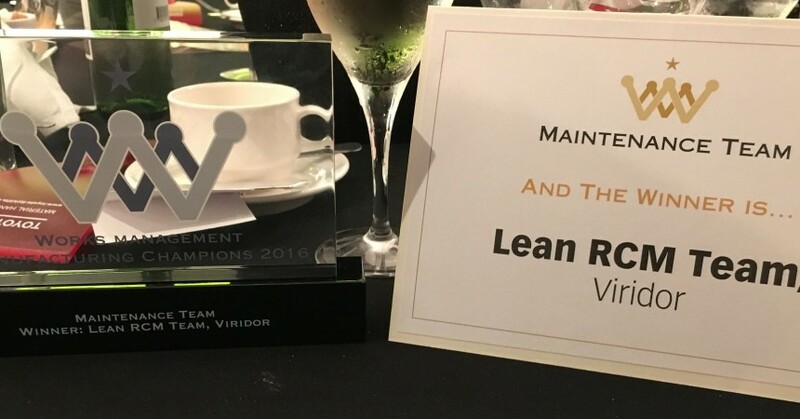 Congratulations to Lean RCM Team, Viridor: our maintenance champs.